More on being right or being happy . . .
It’s been very interesting – I have received so many emails, Facebook comments, Twitters and personal conversations about my last post – Right or Happy? Not always an easy decision. It seems to have touched a chord in many people. As a matter of fact, one article claims that this is the most quoted line from A Course in Miracles. I don’t know if that’s true, that never the twain shall meet. But I’ve talked to so many people in the last week who claim that this was the main cause of their divorce or separation from a loved one. I know that when Jeff and I get in arguments, we usually back ourselves into our separate corners and argue our point, trying in vain to prove we are right. Just as an aside, I’m about 5 foot tall and Jeff is over 6 foot tall. We had a counselor once who suggested I stand on a chair when we argue to even us up so I don’t have to look up to him when trying to prove my point. That one act, standing on a chair, usually helps to end the argument, not necessarily so I can argue my point better, but because it makes us laugh! And this eases the way for us to come out of the respective corners that we’ve been backed ourselves into and start to communicate differently. A sense of humor makes all the difference in the world. There is an inspiring article about being right or happy on one of my favorite blogs, Positively Positive. Well worth a read. I’d love to hear about your experiences being Right or Happy. Posted in Authentic Self, Authenticity, Being Stuck, Communication, Connection, Cooperation, Forgiveness, Gratitude, Happiness, Inspiration, Journalling, Joy, Optimism, Paying Attention, Positive Psychology, Relationships, Unity, Using the Tools, Vulnerability	Tagged A Course in Miracles, Happiness, Joy, Positively Positive, Right or Happy?, Unity, Would you rather be right or happy? Last night at book club, my friend Anne talked about the time she spent at Thich Nhat Hanh‘s Retreat Centre, Plum Village. She explained that everytime a bell rang, a phone rang or any alarm sounded, everyone would take a moment to stop, be silent and mindful. Imagine that, instead of rushing and hurrying everytime we hear a phone ring or an alarm sound to take just a split second and use that as a reminder to be silent and mindful. When I asked her if she continued it after she left, Anne laughed and said no. Of course not! Who has time? We are all so busy, who has time to take a moment to be silent every time a bell rings? When I got home from book group last night, I got my newsletter from Daily Good. In the email, there was a link for Fred Rogers’ (of Mr. Rogers’ Neighborhood) acceptance speech for his Emmy for the Lifetime Achievement Award. Now don’t get me wrong, Mr. Rogers Neighborhood was never my all time favorite show, however I found this speech very moving. He asked the audience to remember the people who had loved them into being. What a wonderful way to put, to think about the people who have loved us into being. He then asked the audience to take ten seconds of silence to think of the people who helped them become who they are. It was very moving in that grand auditorium at the Emmy Awards, with everyone dressed in their finest to take a moment of silence. There were tears and a lot of emotion. I don’t fool myself into thinking I will pause and be mindful every time I hear a bell in the future; but I am going to try to be silent for at least a moment every day – and to just breathe and just be, and perhaps think of the people who loved me into being. Please take a moment to watch this speech by Mr. Rogers, and perhaps take a moment of silence to think of the people who loved you into being. Please let me know your thoughts on this speech, and any methods you use to remind yourself to be mindful. Thank you so much April B for the nomination! I have two magnificent sons, Lukas and Devin, who light up my life. I live in a wonderful home overlooking the sea with a stream in the backyard, so I am surrounded by water. I recently completed my book, A Woman’s Guide to Transformation, and it is with a publisher in the UK. I have dual citizenship in New Zealand and USA. I love to sit on the beach and read in the summer. I love to sit by the fire and read in the winter. Thanks again April B – I appreciate it! Cooperation . . . we can make beautiful music together . . .
As I thought about my last blog post, Our Need For Connection, I started to wonder what is it that helps us connect, or fail to connect. The first thing I thought of was communication. We need to communicate, to listen, to be present with one another to find connection. When we don’t communicate with respect, we fail to connect. Someone once said: ” The basic building block of good communications is the feeling that every human being is unique and of value. Communication and respect. And then I thought of cooperation. We need to practice cooperation, working together with respect. I think this music video by Walk Off The Earth is a brillian example of cooperation. The song is pretty, the words are fine – but it is the cooperation between the artists in this video that, in my opinion, is absolutely stunning! Watch how they work together. It is Awesome! I hope you enjoy this music video, and if you hadn’t heard of Walk Off The Earth before, watch them on YouTube, they are great. Thank you Magnolia Beg innings for nominating me. I am honored. 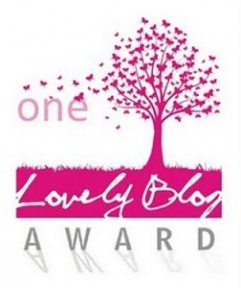 ▪ Nominate 10 other blogs you like for this award. 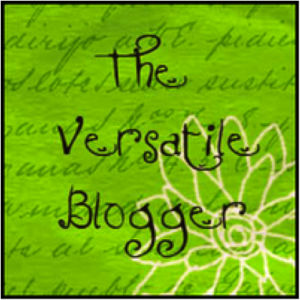 Now I am happy to share with you some very interesting, or should I say lovely, blogs I have found and followed. Thank you again Magnolia Beginnings http://magnoliabeginnings.org/ I appreciate the award!